Perhaps the most widely read devotional work next to the Bible, this book was first composed in Latin ca.1418-1427. 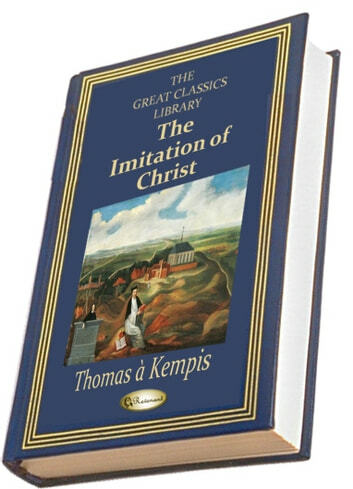 It is a handbook for spiritual life arising from the Devotio Moderna movement, of which Kempis was a member. No book other than the Bible has been translated into more languages. The text is composed of four books which provide detailed spiritual instructions: "Helpful Counsels of the Spiritual Life", "Directives for the Interior Life", "On Interior Consolation" and "On the Blessed Sacrament". The Imitation is characterized by its emphasis on the interior life and withdrawal from the world, as opposed to an active imitation of Christ by other friars. The book especially emphasizes devotion to the Eucharist as key element of spiritual life.